A retired couple was in search of a relaxing retreat with all the regality of the south and no reminiscence of “Grandma and Grandpa’s” house. 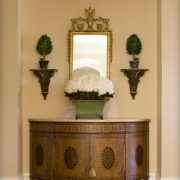 In terms of furniture, we were happy to be able to start almost completely from scratch. 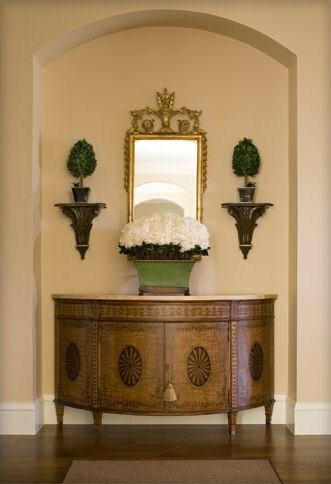 Aside from a few existing antiques, the homeowners required us to source furnishings that were refined and elegant in form, while still being durable enough for entertaining guests. 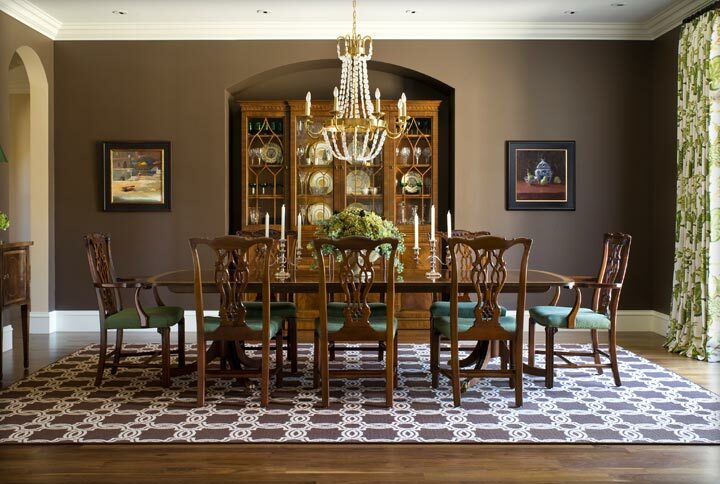 They gravitated toward pieces that were classically traditional and antique-inspired. 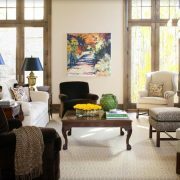 The homeowners wanted to weave fresh prints and bright color palettes into the homes design, without losing the formality and sense of refinement they were looking for. 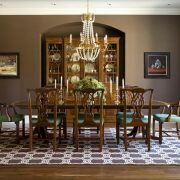 This is where we drew inspiration for reupholstering their existing antique Eisenhower chairs with a bold, funky green striped fabric. 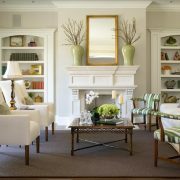 The most energetic room in this whole-home redesign is the living room, home to pops of green upholstery. This room was designed to be more playful than the other rooms, utilizing the abundant natural light to create a lively space, perfect for sitting and enjoying a cocktail with friends. 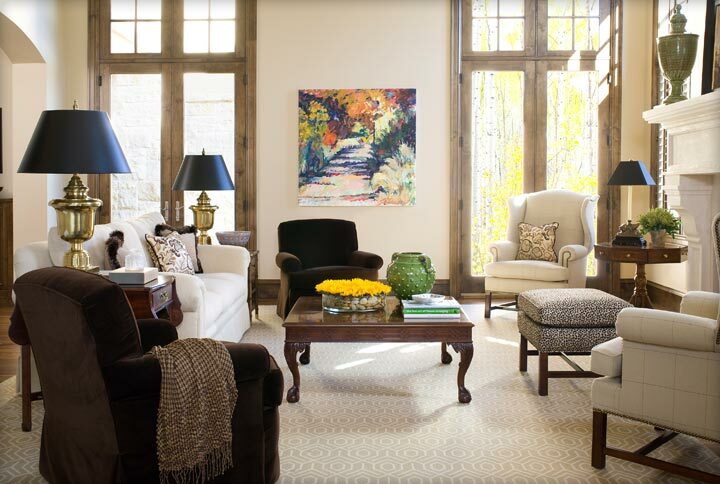 Each room in this home was completed with either one-of-a-kind artworks from Denver artists, or existing pieces that the homeowners wanted to incorporate. 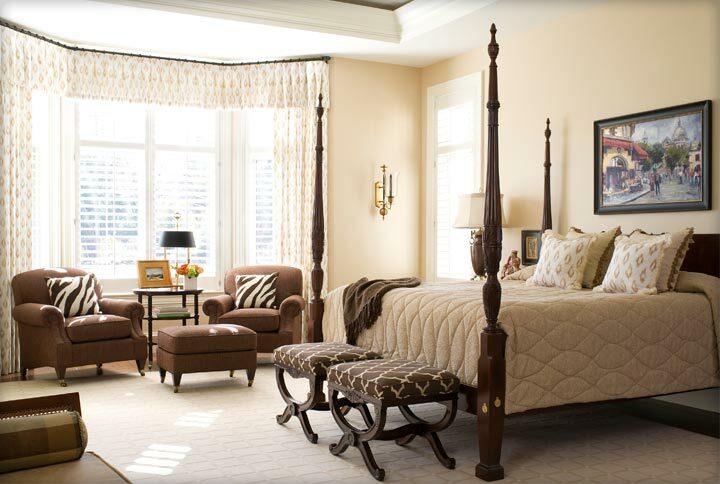 We coaxed their existing antiques and family heirlooms to feel more modern and fresh, without losing the timelessness they create.